The Animated Woman: Book cover design for PickleWeasel. 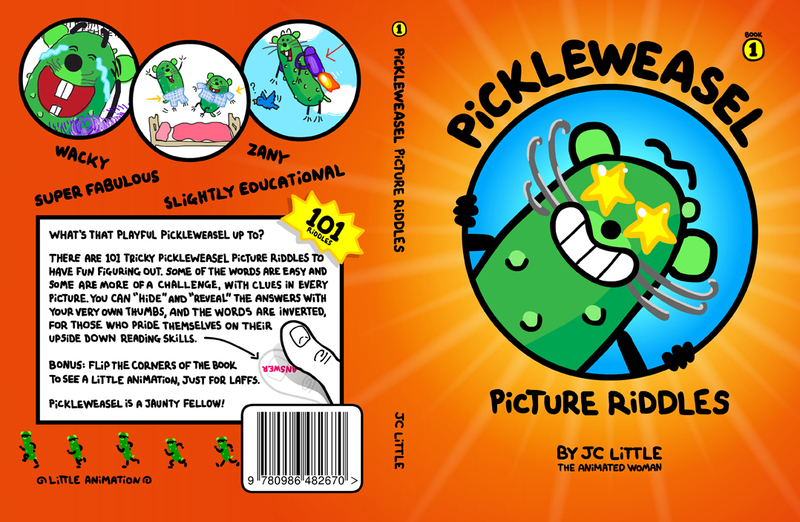 I crowd-sourced feedback the new PickleWeasel book series, specifically about the title and book cover design. I had awesome responses from both Facebook and Ello, so it was a nice slice of different people-types. The numbers came in at 36 votes for "A" and 34 votes for "B" - too close to call. It eventually came down to whether or not to keep the "101" in the title. Lots of people liked it because it follows an existing paradigm for story titles, and I admit that I was one of those people. But PickleWeasel's personality won in the end; it became a question of quality appeal over quantity appeal. 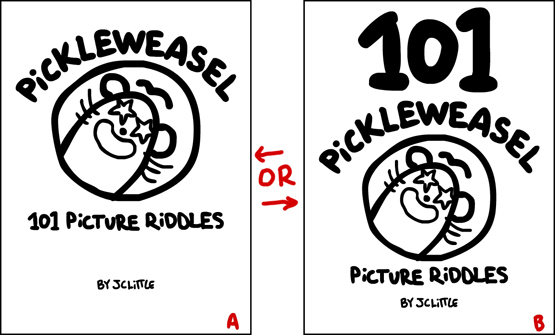 Here's the final version: PickleWeasel Picture Riddles. There are 101 tricky PickleWeasel Picture Riddles in every book. And this is just Book 1; three more books are coming, each with 101 tricky picture riddles. That makes a total of 404. Thanks to everyone for all your feedback; especially the kids! 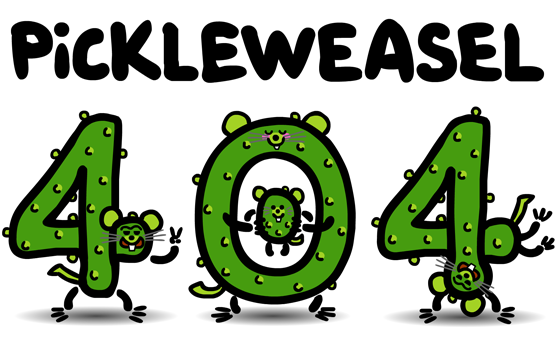 404 - PickelWeasel Not Found? Prepare for the invasion of PickleWeasels.